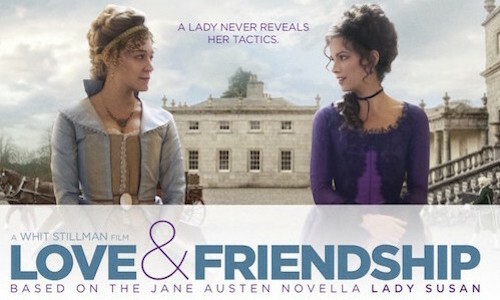 Adapted from a short novel by Jane Austen. The beautiful, beguiling and recently widowed Lady Susan Vernon is the subject of scandalous rumours. Setting out to find a new suitor, she attracts the attention of the young and married Reginald DeCourcy (Samuel). She also guile-fully attempts to persuade Sir James Martin (Bennett), an amiable simpleton, to pursue her un-receptive daughter. As Lady Susan pursues the controversial relationship with Reginald, seduction, deception and heartbreak ensue. Beckinsale is the main attraction as the fiendishly manipulative heroine, delivering hilariously cutting lines with brazen verve.